TERESA COLLINS : DEBUT- CHRISTMAS IN JULY!!!!!! USING CANDY CANE LANE AND TINSEL & CO.
Today I am showing the debut of my CHRISTMAS collections. I designed TWO this year. Many of you may wonder why I choose to design two collections this year. This is my first year ever designing two instead of one. I made this decision for two reasons. 1. My Christmas collection last year sold out so fast and my sales staff got so many "upset" customers. They could not understand how the line sold out so fast. I know this was a good problem to have. However, it was even hard for me, as I could not even teach with many of my own products due to the fast sell out! 2. I wanted to design two collections that had two very different styles and feel but could be combined and look beautiful together. I am so fortunate that so many stores are LOVING both collections and are calling to order not just one but BOTH collections. This makes me so HAPPY. It is like having twins and you think they both are equally beautiful and could never pick a favorite. So I love that they both are being ordered and loved. HOWEVER- today I am giving away 3 paper collections (you can choose which one you want!) to 3 winners who post on my blog. Simply tell me which line is your favorite and why. Today I filmed TWENTY ONE videos at www.mycraftchannel.com. Yes, I can't believe it myself. I even had a conference call with Canon during a break. Let's just say... CANON and I are planning some amazing things. I am honored to be working with them. The craziest thing happened as I filmed today. I was in the middle of a show when I heard a loud explosion. Gentry was in the front of the studio. We had just had a problem with a jar of gold leaf opening. It finally opened after some heat and we noticed the color had been effected during the process. When the loud bang happened, I thought the jar must have exploded. To my amazement, as we walked over to the noise, we noticed the mini refrigerator door wide open. Gentry was shocked too and said the door just exploded open. Inside you could see a frozen coke zero can was literally exploded and remnant were outside the mini fridge and all inside it. How crazy is this? I kept thinking that the gold leaf was going to be everywhere. I was thankful it was only the can of coke and. Gentry was so cute and offered to clean it all up. CRAZY things sometimes happen when you are filming. That was a wrap... watch for NEW SHOWS starting this MONDAY at MY CRAFT CHANNEL. 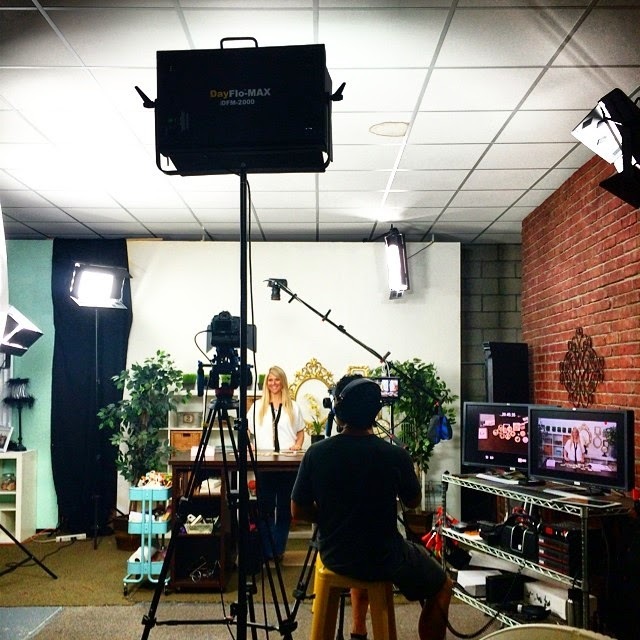 teaching online workshops for those of you who are not close to the stores that I am teaching. More information about this will follow. PS TINSEL & CO COULD BE USED FOR REALLY ANY THEME. So Beautiful! Loving the wood and cork. And how neutral this line is! Great design. THE WINNER FROM MY FACEBOOK PAGE AND INSTAGRAM HAVE BEEN POSTED ON THOSE SITES AS WELL. THANK YOU FOR POSTING!!!!!! I love the Tinsel collection. The gold makes it so classy Christmas! I love your Tinsel & Co Collection. It's special but also very classical. I have to use this for my December Daily this year. I love them both. Can't wait to see them in stores. My favorite is Tinsel & Co. Because I am just crazy about metallics, especially the gold with the beautiful neutrals. However I would love to have both because they are so pretty. Thank You for always creating such amazing crafty goodness. Have a Blessed Day! I like the Candy Cane Lane line. I am pretty traditional on my Christmas colors so I really like the red & green. I also like that old time Santa! I love your Christmas lines, so glad you are doing two this year. I looked at them both and they are great, but if I have to pick one then it would be Tinsel & Co. I love the gold and silver...and the name is great too! Both collections are amazing! Either would be fabulous to scrap my sons' first Christmas. But I would choose Tinsel & Co, it's pure Gold! I like Tinsel & Co. Really like all the gold! I love both collections. I like the traditional colors of Candy Cane Lane. But I'm a sucker for anything with snowflakes, and you have a sheet of great snowflake paper in Tinsel & Company, so I guess that has to be my favorite! Beautiful as ever ! Love the Tinsel & Company, which would be perfect to finally document a Dutch holiday season. I like both collections, but if I have to choose - I choose Tinsel&Co because it looks so elegant and luxury! and I think it could bu used not only for Christmas projects! I love the sophistication and gold colors of the Tinsel and Co. It can also be used for weddings, prom or other elegant occasions. Both collections are cool, but I prefer the TINSEL & CO because it is more neutral and I like the gold colors. Oh dear what a choice, I love both collections but I would get more use from the TINSEL and Co as I don't take so many christmassy pictures now my children are older.......have to wait a few years for grandchildren to come along! definitely ... Tinsel and Company! I will combine most of the papers with your other collections. Will it also give RETAILER CLASS kits again? But of course I also love the classic Candy Lane Collection! I like the traditional look of Candy Cane. I love that Santa in the collection. This collection would be great for my work with Operation Wrtie Home. It is just my style and I love the colors. I love the vintage look of Candy Cane! So cute! I know I will love them both, but I am drawn to Candy Cane Lane. Can't wait to get them both! I adore them both..........but if I have to pick one, its Tinsel and Company - love the gold stripes! I would be delighted and would treasure either collection! I will also be on the lookout early to buy them both, because I was lucky enough to purchase your Christmas paper pad and embellisments last year - so lovely and great quality! OH MY STARS!!! 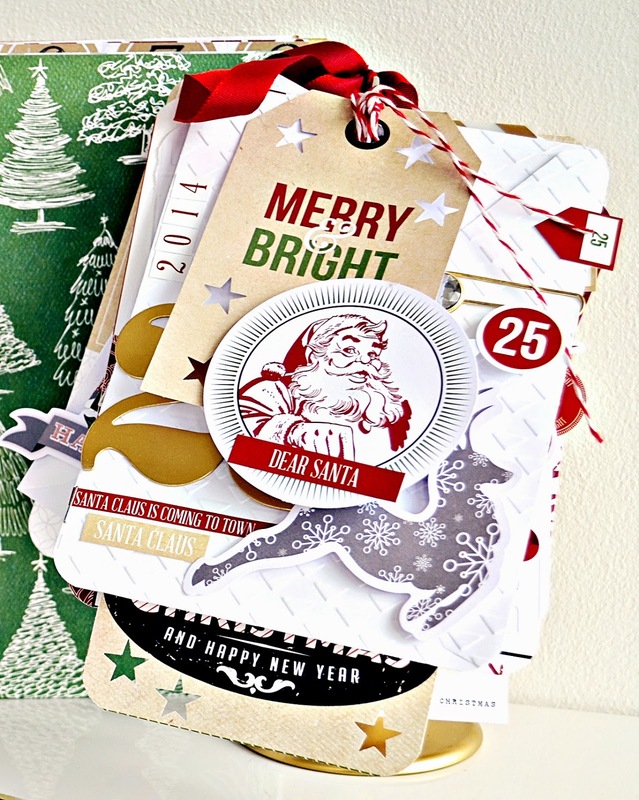 Love, Love, Love the Tinsel & Company collection - especially the stars paper and the words paper. And those overlays! And the wood ornaments! Teresa - you are going to make me a "blingy" girl yet!! I love Candy Cane Lane. I am partial to vintage and traditional. Reminds me of Christmas as a child. I'm super excited for both lines but especially excited for Tinsel and Co. I love the gold!! I love everything I've seen of the new lines congratulations. Wow, both collection are gorgeous. So hard to pick a favorite, but I'm kind of partial to traditional Christmas so Candy Cane Lane would be it for me. Love both collections but I think the gold would be my choice!! Love, Love, Love...I am a Christmas Traditionalist, so Candy Cane it is, but they are both Beautiful!!! both are beautiful.... I am going with traditional and picking Candy Cane Lane for my favorite. Thanks for the giveaway! Teresa I love all 3 new collection. I will get both Christmas collections because I love to make Christmas projects and take lot of photos at this time of the year. If I only could get one I will pick Tinsel & Co because is so classic and elegant and that is what make a project stand our. Both of the new Christmas Collections are just gorgeous. If I had to choose one, it would be the tinsel because it think it is so unique. I love the gold and white together, and how they sparkle. I will probably be buying all three of your new collections because I love them all! Thank you for the opportunity to win one of them! very awesome release, lovely. Congrats to all the winners, very cool for you!! They are both awesome collections because they are Christmas. But for me I love the Candy Cane Lane collection just a tad more for the traditional colors of Christmas. Oh my two gorgeous collections once again!!! I really love them both, but I'm really loving the Candy cane lane! The name itself is beautiful! This collection has such pretty colors and would make for a great December daily this year! You always do such beautiful work! These are both gorgeous! How is a person supposed to choose?? I love Candy Cane Lane! The colors and designs just shout Christmas celebrations. I must say though that both collections are wonderful! I love both of these Christmas collections, but if I had to choose one, I suppose it would be Candy Cane Lane. Can't wait to use these this holiday season!! I love the Tinsel & Co with its classic colors and metallic, but the lovely green shade in Candy Cane Lanes keeps calling to me! so great to have 2 choices this year! Love Tinsel & Co! Beautiful!! Also in love with studio gold! Love Tinsel & Co but all lines are great! I love both collections but I would choose Tinsel and Co. with the cream and gold its so fresh and modern. Thank you so much for sharing with us! I just think your brain is jam-packed at all times with all these wonderful designs you have in there!!! Love both of these collections and all the different elements in each, the little enamel trees and snowflakes in each and the mixture of print and your handwriting!! Love the chipboard elements and wood veneers as well!!!! I hope you made sure to double the production because they are both going to be sell-outs. Love the Tinsel & Co. by a nose, because of that awesome star and triangle papers. Both collections are great, but i love Tinsel & Co. the most because it is so elegant and sparkly. I love both collections... How could I pick just one!? I don't know how to pick my favorite! I adore both collections, but I think I'm partial to Candy Cane Lane because of the vintage-y, retro feel to it! I know it's in my future for Christmas crafting this year!! Tinsel & Co. is just stunning! Both collections are, of course, beautiful...you have amazing taste and such an eye for design! Love all your new collections.....Tinsel & Co....bring on Christmas! Candy Cane Lane is the collection for me. I love the retro feel with the hint of new. Love the retro bits of Candy Cane Lane. I so love that you will have two new Christmas designs. Will you have a new Halloween line as well? I love them both but would choose Candy Cane Lane for the colors and the retro vintage. I love the cute little Santa. I am trying to do more gold and silver too because you make it so beautiful. I bought some gold doilies the other day. Given more time I just might be ready to switch. Glad we have 2 this year. I was fortunate enough to get last years collection and then wished I'd bought 2 when it started selling out. I buy every collection you come out with. So really, how can I choose a favorite Christmas one. I'm thinking Candy Cane Lane, no wait, Tinsel & Co. Love them both!! Either of your Beautiful Christmas lines would please my purposes very much but in 1st. Choice it would be Tinsel & Co. I love the rich buttery gold tones and it's versatility! Larina M.
Eeeeek! Both are delightful, but if I HAD to choose...Tinsel & Co! They are both very beautiful designs. I'm picking Candy Cane Lane because of the greens and the ephemera pack. Can't wait to see more projects made with them! As usual, LOVE it all! Love them both...but if I have to choose, Candy Cane Lane!! Thanks for the chance to win! Oh my.....Tinsel & Co. So dreamy with all that gold! I love everything about it.....the enamal dots, the sequin ribbon....the Stars paper! Wow! Once again, you have outdone yourself Ms. Collins! I love the Tinsel & Co. It's timeless Christmas! Candy Cane Lane. It's traditional. The Tinsel & Co is pretty but it's not as "vintage" as I'd like for my greeting cards. I LOVE LOVE LOVE the tinsel line with the GOLD/SILVER & RED!!! My absolute fav for christmas layouts!!! I love the stars that are on the papers and the tags/cutouts too! The ephermera pak looks awesome as well. I want EVERYTHING that goes with this line ..... AND some of the other line as well!!! totally love tinsel and company! Love them both and please print more!!! I too have a difficult time finding them to purchase. Both lines look AMAZING! I love the vintage images of Candy Cane Lane, tho! But I have never seen a piece of Teresa Collins paper I didn't LOVE! How do you choose??? I love them all but I'll go for the classic Candy Cane Lane - reminds me of being a kid again! But I can't wait to get my hands on both! Again, Teresa, you are AMAZING! All of the collections are wonderful and it would be so hard to pick just one! They are both beautiful and festive. But if I have to choose, the Classic Candy Cane Lane is traditional. Can't wait to find them in the store!!! let me say that both of your collections are beautiful and I will be buying both, however, if I had to choose just one it would be candy cane lane as it looks so vintage! Tinsel and Co...why? I was all over the quatrefoil and stars pages! I love the gold and silver and the neutrality but yet a little bit of color. Just Fabu! Great job TC!!! My choice would have to be Tinsel & CO! I was lucky to get quite a bit from your xmas line last year and just love it!! Tinsel and Co.! I love the Quatrefoil design so much and the metallic touches just cinched it! The truth is I love them both for different reasons. Want!!! Thanks for thr chance to win! Candy Cane! Would love to have this in my stash. I am a sucker for Christmas scrapbook stuff! Love Christmas in July! Gets me excitted for the holidays even when it is so hot outside. I love both collections but would use the Candy Cane Lane more just because my decorations are more traditional but would love to branch out and try the Tinsel & CO too. Love your style. Love them all!!! I would probably choose Candy Cane Lane. I love Candy Cane Lane. It makes me want to decorate for Christmas in the middle of summer. Both collections are beautiful! So hard to choose but if I had to, it would be Tinsel and Co just because it is so versatile to use with other occasions. It is very elegant looking and would look great on a lot of projects! Both collections are wonderful, but I would probably find more uses for Tinsel & Company. Thanks, Teresa! I love both Tinsel and Co and Candy Cane Lane collections. I could easily see myself using both collections together. If I have to choose just one, I would have to choose Candy Cane Lane. I love the colors and images. The red and green are beautiful! The images are retro and trendy all at the same time. Love Love Love it! Thank you Teresa!!! More beautiful stuff to love! I lean toward Candy Cane Lane - it matches our family! I am hoping that I can take a class with you some day! Maybe your path can bring you to Texas soon! Soooo beautiful. Love the candy cane collection. Not sure mine posted, so posting again. Just love both lines but would have to chose Tinsel and Company. Love the fresh look to it, the sparkle, colors and feesl of it. So excited for both lines and can't wait to get them. Thanks for the chance to win one. Both of these collections look fantastic! I can't pick a favorite. Thanks so much for the chance to win! These are both so beautiful, but I am leaning toward Tinsel and Company; it speaks to my remembrances of Christmas past and family gathered for the festivities. And, I am so excited for the ONLINE classes! I am never near any of the Classes you teach (I live on Long Island in New York) and I miss out on so much. When you do these classes online, will we be able to purchase the kits?? Will you be doing an online class for the Candy Cane Lane and Tinsel and Company? Wow, I'm in love with the Tinsel and Company collection! So elegant, fresh and bright. And this is the right time to think about christmas, I love Christmas in July ;-) Thanks for the chance to win! Tinsel and Company PLEASE - LOVE, LOVE, LOVE the gold! and I sneaked a peak of the nine collection too, wow! I love the Tinsel and Company papers and embellishments. I may have to get several sets of this line. Thank you for the opportunity to win. I love love Christmas in July :) both of these collections are beautiful, I love how they will work together! If I had to choose... I guess I would pick tinsel and co., I love the gold. When can you come to Maryland? Or the DC area? I want to take one of your workshops!!! Continued prayers for your husband and family. They are both gorgeous collections! I can only pick Candy Cane Lane because of the adorable reindeer, but really they are both perfection!! I use the traditional colors in my Christmas Décor, so I would have to go with Candy Cane Lane collection. My Christmas pictures would be coordinated with your line. Gotta love that! I love the rich, elegant golds in the Tinsel & Company collection! Candy Cane Lane beautifully shows off the Christmas spirit too! Your Christmas lines are not only my favorite of your lines, but everyone else's too! SO excited that you're doing two this year, thank you! And thank you for always having such outstanding quality with every one of your products. Love the Candy Cane Lane paper line! I'm a sucker for the traditional colors and designs. I think it's great that you are doing two this year and can't wait to see them in real life! LOVE your Christmas collections! Am still finishing last year's album! Would love the new line for this year's album! Hi Teressa. They are both beautiful but I like the traditional Candy Cane Lane with the traditional Santa and Reindeer a little more. Loving them all it Tinsel and Co is a little bit more my fab because you can use it for multiple occasions. ohhhh the Tinsel and Co. is def. up my ally! These look fab! Do I have to pick a favorite? I'm pretty sure I will be buying both :) Your Christmas lines have always been fabulous and these two are no exception - thanks for a chance to win! Two wonderful collections! Both are great but I am a little partial to Candy Cane Lane. I LOVE them both! Since I have a lot of traditional Christmas goodies already I think I will go with the Tinsel & Co. collection. Love all that gold! I love Candy Cane Lane. Thanks for the laugh this morning, we had a similar explosion last year on our vacation to California, not one can, but six. What a mess!! My sweet husband cleaned it all up. husband, you are an inspiration! I love them both and its so hard to pick which one the most but I think Tinsel & Co because its different then other Christmas lines, the gold in the line really makes it all elegant and really pop. The stars paper is so pretty!! These are both fabulous and so glad that you designed two different styles! My favorite is tinsel and Co because it's just so gorgeous!! OMG!!! I'm in love with Tinsel& Company!! As I have already purchased a studio gold album for my december daily this year, this line would go just perfectly with it!! Thank you so much for the chance to win! I love Candy Cane Lane with the beautiful green trees and the dashing reindeer. Tinsel & Co is a stunner too. You will have sell-outs once again! I would have to chose Candy Cane Lane because I love the nostalgia and whimsy of that line but know that when they come out I will be getting both. Thanks! You did it again! Love Candy Cane Lane! Thank you for your hard work. I have already been thinking and planning my Christmas projects for this year esp, for my Dec. Daily album and I love both collections! Candy Cane is my favorite but I will for sure be using both collections! Teresa you design the best Christmas lines! How to choose just one, I love them both but I love Tinsel & Co just a little bit more. All of your new collections are awesome as usual and I need them all, so beautiful. Thanks for the opportunity to win some of your wonderful products. Tinsel and Co. for the win!!!! However all the lines are beautiful I love your designs and style. I L.O.V.E. Tinsel and Company!! It will go perfect with the Studio Gold album of yours!! What beautiful Christmas memories I am going to record with my gorgeous GOLD collections from Teresa Collins!! I really like them both but I absolutely adore the Stars paper from Tinsel & Company. They are both beautiful. I love Tinsel and Company. Gorgeous gorgeous! Love Tinsel and Company!! I am loving the Candy Cane Lane line. I have a new grandbaby girl in the family and this will be perfect to capture her 1st Christmas memories. TINSEL & CO as it's more refined! If I was lucky enough to get picked I would love any of them they are great I love Christmas it's my favorite holiday my family gets together so I spend days scrapbooking and I make cards so anything Teresa Collins would be so great it's so fun and easy with everything she has. So happy crafting. I truly am a bug big fan. Thanks and fingers crossed that I can be lucky enough to get my name picked. Now I can't wait for Xmas. Christmas in July what fun it is to see two , yes, two collections - now which to choose - if I win one I would only have to buy one so that would be fantastic - I think I will hold my breath until you choose your winner - please contact me soon so I don't burst like the diet coke !! I could see me making a xmas mini out of both of them. But I have to say I love Candy Cane Lane & Co. I like the red and greens and the whimsy of it. I love the Tinsel and Co love the gold colors and how fresh this line would be a great line scrapbooking,card making etc. Love It. I love both, but especially love tinsel and company! Beautiful!! Two more great collections! And Christmas ones too! Fantastic! Tinsel & Co is my favourite of the two as you have introduced me to the wonders of gold with your Studio Gold collection! Love the touches of silver with the gold. They are both fabulous but Candy Cane Lane is my favorite! Awesome collections! I can't believe how many big great things yiu have going on these days! Congrats! Tinsel & co is my fav of the two. Both collections are fabulous and I can see how both lines would work well together. I think my favorite is Tinsel & Co. due to the elegance of designs, the gorgeous gold and red colors and those fabulous stars in some of the designs. 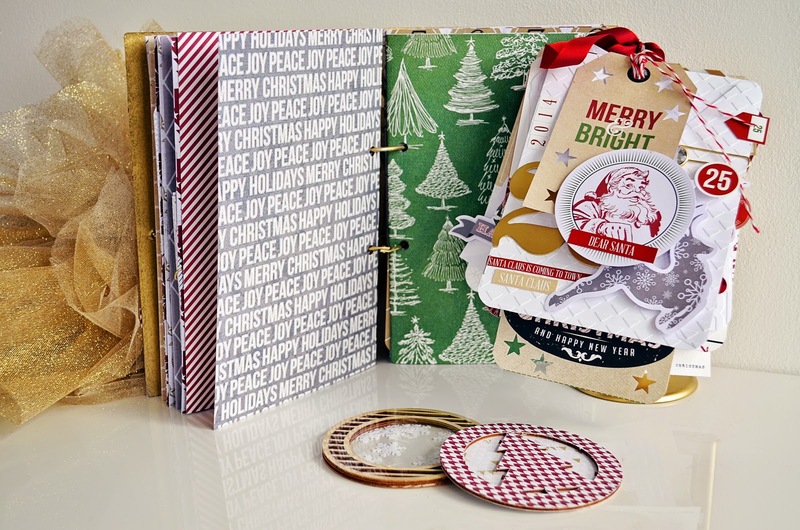 What a fabulous scrapbook for the holidays as well as beautiful cards this line would make. Gorgeous! Tinsel & co is my favorite! So many designs are being planned right now! both are so pretty as always--love Candy Cane Lane because it adds some whimsy to the pretty! Love Candy Cane Lane -- I'm a traditionalist! I thought I was going to head to the site and pick Candy Cane Lane, but Tinsel & Co is really gorgeous! Love it! Love both - I'll choose Tinsel & Co. for now to mix with Studio Gold! Thanks for the chance to win one of these great collections. They're both fantastic! Tinsel & Co will be perfect for new Christmas decor this year-elegant country! I really love Candy Cane lane! Thank you for a chance to win this collection!! I love your designs and papers I hate to cut into them. They are so pretty, I love just looking at them. I love the Candy Cane Lane collection. I like the tradional colors. Thank you so much for a chance to win. Both collections are stunning! My favorite is Tinsel & Co. Love the beautiful colors and elegant patterns! Tinsel and company is my favorite,because I'm always going to pick the bling choice. I just love sparkly! But, I love both, and think they will be so fabulous together! Tinsel and co is my Favorite. Tinsel & Company is beautiful! Beautiful collections! I always love your Christmas lines and these are best yet! I love Tinsel & Co, it's elegant, fun & festive! Love the Candy Cane Lane Line! love them both !!! Your Christmas lines are always beautiful ! oh Teresa, I love them both, as usual!!! If you are going to make me pick, I would have to pick Tinsel & Co, but I already know I have to get both!!! They will be so beautiful together!!!! When are these shipping?? I would say Candy Cane Lane is my favorite because I just love those whimsical Christmas trees. These lines are fantastic!! I love both and can see myself using both lines together for Christmas time photos but also using Tinsel & Company for prom and other elegant photos of my kids - thanks so much for designing both of these!! These are lovely collections. So diverse to appeal to everyone. Candy Cane Lane is fun and I can envision so many projects! Both are gorgeous but I love Candy Cane Lane!! Makes me want Christmas now!!!! Both are gorgeous collections and so hard to choose between the two. Since I have to pick, I guess I will pick the Tinsel & Co collection. I have to say that while I love the papers in the collection and they are so beautiful, it's the stamps in the collections that ultimately help me choose between the two collections. The Tinsel & Co stamps are fantastic! I love them just as much as the paper collection! I love both Christmas collections.I am leaning toward the Tinsel & Co just because I decorate with Gold and snow flakes at Holiday time. I tend to not always chose the traditional holiday colors but rather accent with them so this collection would be absolutely perfect choice for me. Both are amazing but candy cane lane for me! Candy Cane Lane is my favourite. Thanks for the giveaway. I'm always up for a Christmas collection, especially a TC Christmas Collection, so it's really hard for me to choose. I think I'd have to go with Tinsel and Co. because it is, as you pointed out, so versatile. I live in a place where winter lasts for half the year so I need sparkles and snowflakes for a lot longer than just the holidays. Thank you, btw,for your wonderful artistry and inspiration. That you continue to be brilliant and creative under the circumstances just fills me with such admiration for you. Tinsel and Co is beautiful. I've started moving towards the golds and whites this past year and have fallen in love with them again. It's look is sophisticated and makes me feel like dressing up and dancing in the snow!!! Both are beautiful collections but Candy Cane Lane is my favorite. Love the traditional colors!